We’ve become a very reactive society. We respond to things that have already happened. We take drugs to ease the effects of ailments that we’ve eaten ourselves into, we buy insurance after experiencing loss, and fix the faucet whenever it leaks. Nowhere is this more evident than when we look at our environment. After centuries of polluting our planet, we’re now beginning to take steps to hopefully correct the wrongs that we committed. In 1969 the Cuyahoga River in Ohio caught fire. Runoff from industry had so polluted the river that Time magazine commented that a person who fell in would not drown, but would decay. The river first caught fire in 1868, and a fire in 1952 caused much more damage, but the resulting press in 1969 caused such an outcry that we now have the Clean Water Act and the Environmental Protection Agency. It was a reaction to a river that oozed with chemicals instead of flowing with clean water. When you look at the work done by many of our friends, it is a reaction to the thoughtlessness of others. 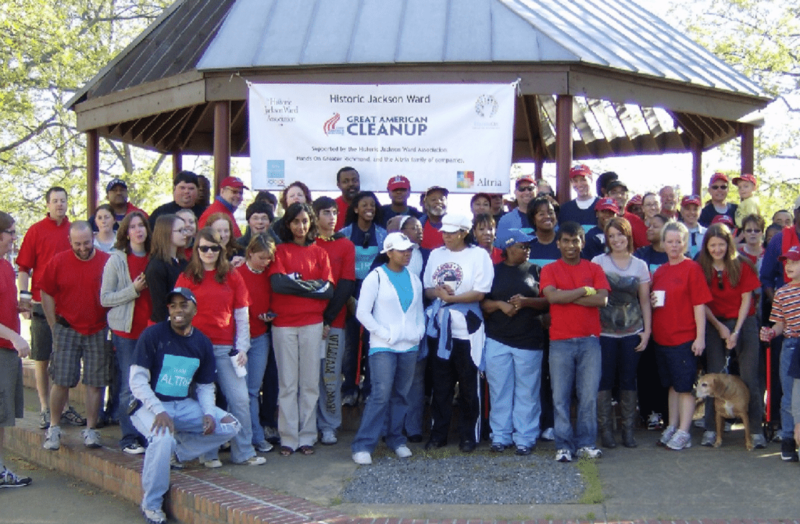 They paint over graffiti, pick up trash, and refurbish neglected playgrounds and parks. Guys like Earth Korps fish trash out of our waterways. Bull Run Mountains Conservancy spent a day filling up trash bags with roadside litter. Many of the events on the Keep Virginia Beautiful site are calls to action for a “clean up” or some sort of project to right a wrong. It is only when we realize how badly we’ve screwed up that we begin to take action. Perhaps we could all do well to remember our three R’s: Reduce, Reuse, Recycle. One of the things that Earth Korps has done is proactive. Part of the reason that they started their organization was the fact that trash in the river was impeding their enjoyment of it. Those Valley boys like to fish, and their lures were spending a lot of time getting tangled in discarded fishing line. When you’re fishing and your line gets snarled, it’s easy to just cut it loose and start over. After spending a few years cleaning garbage out of the Shenandoah River, they spent a day putting up Mono Bins. A cheap hunk of PVC pipe with a cap on the end, hanging at a convenient spot near a prime fishing hole. It now makes it easy for a fisherman to discard his line in a place where it won’t foul the attempts of other anglers. They’ve put them up at a few spots, and hope to have them lining the banks of the river wherever people like to fish. Sometimes it’s not easy to do the right thing, but it does put us ahead of the curve. It can be as simple as putting something in a trashcan. Choose products that have smarter packaging. Choose a product that you know will have another life at the end of its use. Plant some flowers because you want to. Plant a tree where you may not need one. Think of it as Paying it Forward for our environment. Perhaps if we did a better job of actively protecting our environment we’d find ourselves less reactive. We could all do a better job of making smarter choices in our lives, from our purchases to our transportation to our homes. The time to worry about your roof is not when it’s raining in your living room. We change the oil and get a tune-up so that the car won’t break down. We eat healthy foods so that we won’t have to go to the doctor. When it comes to our mission to Keep Virginia Beautiful and making smart decisions, look at it as preventative maintenance.